The 20 years or so that “Losering” covers is just a small subset of a bigger story that goes even further back in time. That was one reason I started this damn country blog (groan), to fill in the picture a bit; only so much can fit into 200 pages, after all. My own history in the Triangle goes back to 1991, when I arrived to take the rock-writer job at the News & Observer. Alas, that was a few years too late for me to experience Chapel Hill’s Pressure Boys, who broke up in the late 1980s. 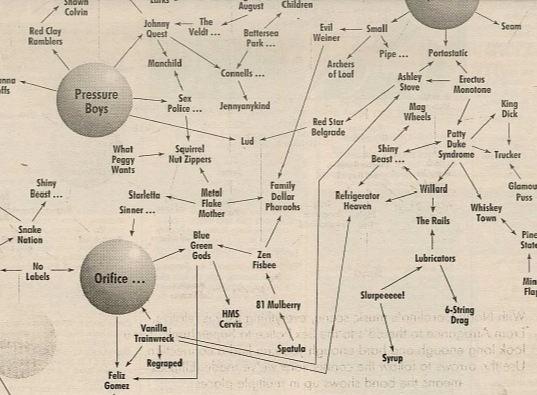 The Pressure Boys were kind of the ultimate party band in a town full of them, and former members went on to notable careers elsewhere — note the band’s prominent place in the upper left corner of this slice of the “N.C. music galaxy” I did in 1995. In the big picture, the Pressure Boys served as a transitional bridge between the ’80s wave of bands including Arrogance, dB’s and Let’s Active; and the alternative-rock generation that came of age in the ’90s, including Superchunk and Whiskeytown. After the Pressure Boys broke up, frontman John Plymale became a very fine producer, in which capacity he worked with a ton of acts from multiple generations of the Triangle music scene. Maybe the best illustration of his career is a record that ties it all together in a most wonderful way, Songs for 65 Roses: Re-Working the North Carolina Jukebox, a 2006 compilation to benefit the Cystic Fibrosis Foundation (the album’s title came from how his young daughter Allie, who has cystic fibrosis, would pronounce the disease when she was very young). 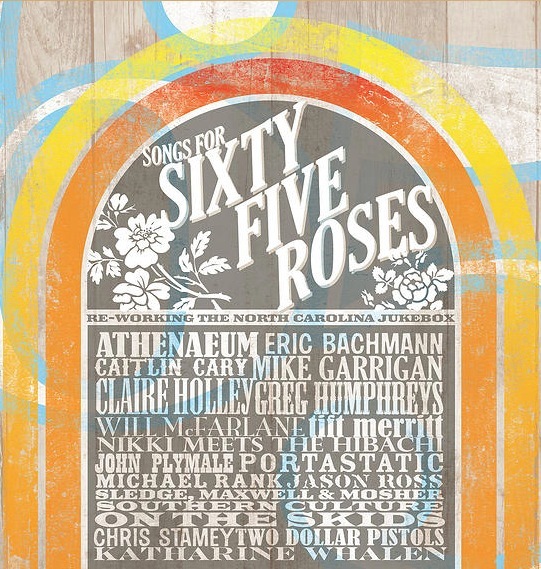 The concept of 65 Roses is North Carolina acts covering North Carolina songs. Plenty of players from the “Losering” story turn up on both sides of that equation — Caitlin Cary, Superchunk, Chris Stamey and Squirrel Nut Zippers among them. Check this 2006 feature for further details on the web of connections that the album spins. My favorite 65 Roses song is Let’s Active’s “Every Word Means No,” recast in a Tom Waits-ish arrangement by Eric Bachmann, leader of 1990s-vintage Chapel Hill indie-rock titans Archers of Loaf. Not far behind, however, is Ryan Adams’ “Oh My Sweet Carolina” as performed by Portastatic, the solo incarnation of Superchunk’s Mac McCaughan. It starts out quiet and acoustic like Ryan’s 2000 original before revving up into an electrified version, a great tangent that turns a prayerful song into an exuberant one. Check out this lovely little rumination about it, which has a Spotify link helpfully included.